Madison Square Garden is one of the most popular arenas in the world. From sports to concerts, world class events and storied landmarks, the Garden in Midtown Manhattan is a destination for people from all over the world. In this Midtown area near Madison Square Garden, you will find some of the best restaurants in the entire city. Are you looking for a juicy dry-aged steak right next to Madison Square Garden? How about an authentic Neapolitan-style pizza at Stella 34 Trattoria in Macy’s Herald Square? You may even choose to dine inside the Empire State Building at STATE Grill and Bar. 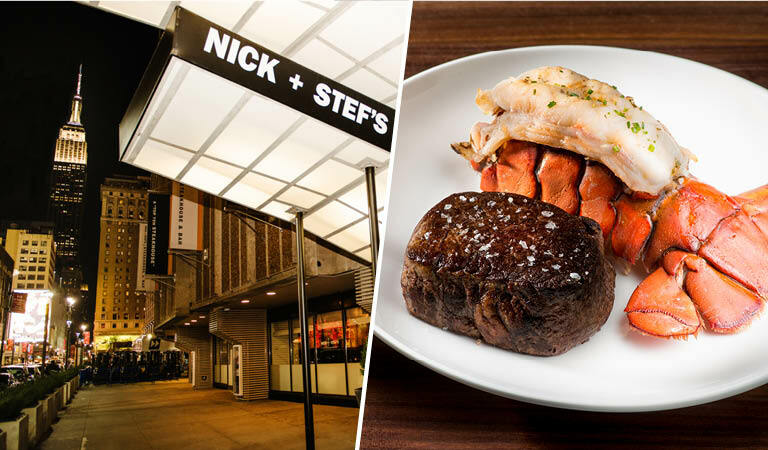 Whether you are a Knicks season ticket holder, a frequent concert-goer, or are just visiting New York City’s landmarks, the restaurants on this list are sure to impress.